Most dentists will not advise patients to try certain at home dental treatments. Home dental products to avoid can include tooth whitening kits and toothpastes that may be harmful to teeth and gums. Tooth whitening products purchased in stores have become very popular. They are designed specifically to whiten teeth using bleaching agents. However, the bleaching agent is usually too weak to whiten teeth effectively. The danger occurs when users leave the agent on the teeth for too long in the hope that this will lead to better results. Overuse of whitening pastes or gels can lead to sensitive teeth and damage to the nerves in the gums. Instructions on any whitening products should be followed to the letter. There are also toothpastes that are designed to whiten teeth as well as remove stains and discolouration. These toothpastes use abrasives to achieve this result. Infrequent use of toothpastes containing abrasives should not cause any significant damage to the teeth. However, overuse and intense brushing using abrasive toothpaste can literally rub the enamel coating from the teeth. Again, this can lead to sensitive teeth, and cracks can appear in the weakened teeth. Mouthwashes are very popular product that intended to leave the mouth clean, help kill bacteria and eliminate bad breath. However, a number of mouthwashes on the market have been shown to have a very high acidic level. Acid is very harmful to teeth and gums and can corrode the enamel on teeth. Enamel loss can lead to sensitive and weakened teeth. The only mouthwashes that should be used are those with a low pH content. 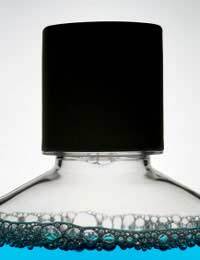 Another advertising myth is that all mouthwashes will help cure bad breath. Unfortunately a number of mouthwashes have a very high alcohol content that dries out the mouth. If alcohol rich mouthwashes are used they will mask the bad breath smell initially and kills some of the germs. But once the alcohol begins to dry out the mouth the saliva will be unable to wash away the bacteria and the smell will become worse. If you do use mouthwash make sure it has low or zero alcohol content. Dental scalers can be bought for very for little cost at most chemists but they should be used with due care. The scalers will usually come with a little mirror similar to that used by a dentist. The scalers are designed to help eliminate plaque from the teeth and they can work to a certain limit. However, intense scraping can lead to damage of the tooth enamel causing cracks and sensitive teeth. Home dental scalers should never be used instead of a professional dental cleaning treatment. Dentists are trained to eliminate plaque from hard to reach places such as under the gum-line. If you want the best advice and information on suitable and safe at home dental products then your own dentist will be the expert. They will be able to give impartial advice on the products that they recommend and may even sell at their own practice. Although advertising standards on products do have to meet certain safety requirements this does not mean all dental products will be suitable for everyone. Always look out for warning labels on any dental products bought from stores. Dentists are trained in treatments designed to whiten teeth and eliminate bad breath. Qualified dentists will use safe chemicals to whiten teeth and they also have other options available such as laser whitening. Always consult a dentist before trying any at home tooth whitening products. Using unsafe products could mean that you will have to see your dentist sooner than you had intended.